The veteran UK duo deliver some genuine true-school flavour on this head-nodding new single. UK duo Stealf (producer) and Mista Flix (emcee) definitely chose an appropriate group name to record under, delivering uncompromising ruggedness on their new EP “Supplying The Demand” which also features heavyweight appearances from Jehst, Cappo and Micall Parknsun. Taken from the UK duo’s new album “Phil N’ The Dotz” featuring Klashnekoff, Blak Twang, Verb T and more. The Diggin’ In The Crates affiliate delivers though-provoking rhymes on this new track produced by Canada’s Illatracks. Taken from the Brooklyn emcee’s recent Biggie-inspired album “Ready To Juxx”. Gritty Rec The Director / Lord Nez- directed visuals off the Brooklyn emcee’s 2013 ATG-produced EP “Crushed Grapes”. The place an emcee calls home has always been an important factor in Hip-Hop. 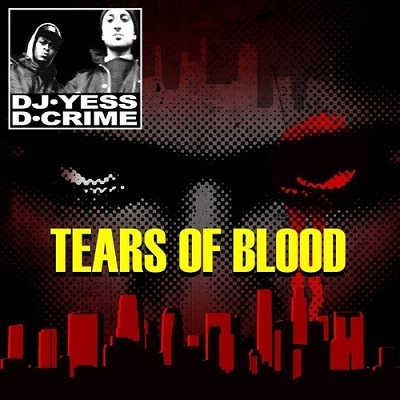 For example, over the years, if a new artist was able to claim the likes of the Bronx or Brooklyn as their stomping grounds, it immediately lent their upcoming project a sense of credibility due purely to the history of said NY boroughs. On the flip-side, freestyle favourite Mad Skillz titled his debut 1996 album “From Where?? ?” thanks to the low expectations Hip-Hop heads had at the time of any artist coming out of his Richmond, Virginia locale. But whilst hometown pride has been commonplace in the rap game since day one, there are those emcees who rhyme well who just happen to come from a certain place, with their postal address not necessarily having a direct link to their artistry, and then there are those lyricists who literally embody the place they came up in, with their environment and their music being virtually inseparable. Think MC Eiht and Compton. Scarface and Houston’s Fifth Ward. Raekwon or Ghostface and the slums of Shaolin. And, of course, Biggie and Brooklyn. At its best, the music of the above mentioned artists (and others) has gone beyond simply being about quality beats and rhymes, managing instead to capture the sights, sounds and stories of their respective surroundings, which in turn has informed their work with an organic, tangible quality that puts the listener directly into their world with no compromise or apology. 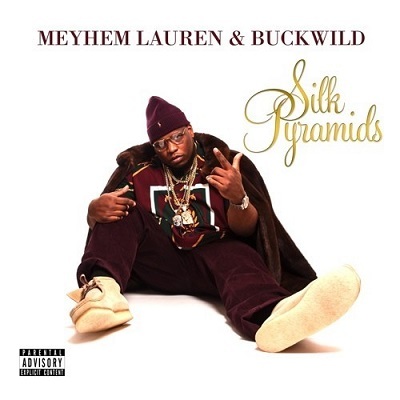 On his latest full-length project, the Buckwild-produced “Silk Pyramids”, NYC’s Meyhem Lauren does exactly that. Pulling us deep into the galaxy of Queens via his colourful wordplay, the Outdoorsmen member delivers a solid slice of Rotten Apple Hip-Hop that finds Laurenovich looking no further than outside of his front door for inspiration. Stating on the opening Action Bronson-assisted “100 M.P.H.” that he’s “so Queens that you can feel me”, Lauren goes on to paint vivid images of his beloved borough on “Q.U. Cartilage”, weaving landmarks, names and personal memories together to create fast-moving cinematic rhymes that time-travel from Meyhem’s youth to the present day, with the rapper sounding grateful that he’s reached a point in life that some of his friends perhaps haven’t been lucky enough to see (“Blastin’ Billie Holiday out the Benz coup, Came a long way from the days when we were strange fruit…”). The organ-driven “Salmon Croquettes” finds Lauren being joined by AG Da Coroner, with the Brooklyn lyricist delivering a gruff verse of epic OG proportions, sounding like the rhyming version of Ving Rhames’ character in John Singleton’s “Baby Boy” as he claims to be “the real meaning of a rap artist” whilst sending a warning to rap’s younger generation who “steal from the older gods”. “Honey Champagne Sorbet” is built around a warm sonic soul glow, as Buckwild delivers the perfect loop to match Lauren’s verses of fly braggadocio, with the Lo-Life representative sounding like he’s just won Mack Of The Year and is up on the podium delivering his acceptance speech (“My life was written ‘cos I wrote it, Then I got promoted, Pockets exploded, Now this whip I drive is candy-coated…”). 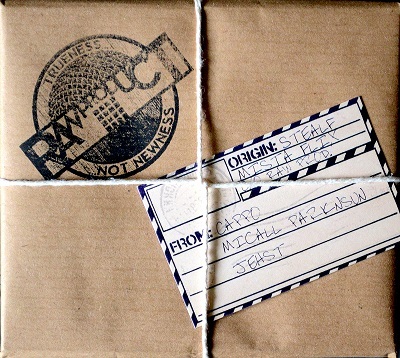 Elsewhere, the mellow “Aztec Blue” is a walk down memory lane, with Meyhem reminiscing alongside Hologram about simpler times involving spraying tags on buildings, hanging-out with the crew and rocking fresh kicks, whilst “Where The $ At” is an obnoxious, drum-heavy display of lyrical arrogance featuring a typically larger-than-life appearance from Thirstin Howl who can be heard flaunting a wallet “big enough to be a saddle” amongst other humourous claims. The closing “Been Official”, arguably the album’s strongest track, features Lauren boasting of his “outfit architecture” over sublime production whilst pondering whether his “street s**t, poetically spoken” will lead him to be crowned the next king of New York. Musically, Buckwild upholds his half of the duo’s creative deal throughout “Silk Pyramids”. Whilst it would have been easy for the veteran producer to have been heavy-handed with a signature 90s Diggin’ In The Crates sound, Buck has instead blessed Lauren with a selection of beats that compliment his style and help give the album its own sense of identity. The only weak link here is the underwhelming “I Want It All” which, unfortunately, suffers due to Buckwild’s production on this particular cut lacking the character heard throughout the rest of his work on the album. Overall, “Silk Pyramids” is a win for the Queens native. At a time when the uneducated are still claiming that New York rap has lost its distinctiveness, Meyhem Lauren has been carrying on tradition, keeping his Wallabees clean, his Polo collection up-to-par and his rhyme skills sharp, crafting quality music to put listeners in an NY state of mind, wherever it is they might reside around the globe.